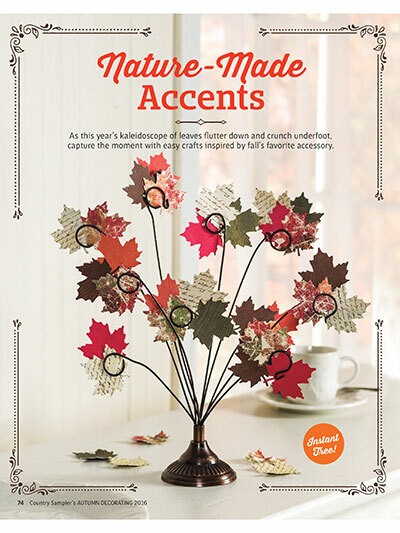 With 128 pages packed full of fantastic decorating ideas and DIY projects, Country Sampler's Autumn Decorating gives you everything you need to give your home a cozy warm welcome this fall! 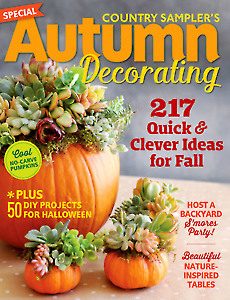 Discover new ways to enhance every room with naturally beautiful pumpkins, gourds and leaves. 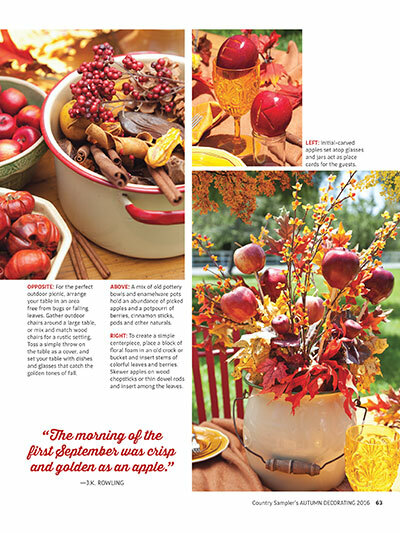 Add sunny bright accents with creative sunflower-themed projects, and learn how to set a stunning Thanksgiving table. 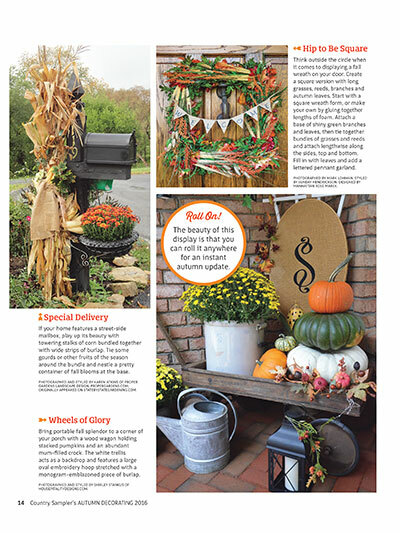 Liven up your yard with four incredibly creative scarecrows. 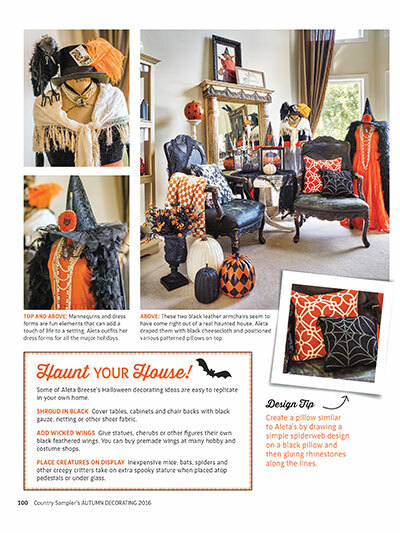 Plus, get your spook on with our special Halloween section, complete with both fun and frightening accents. 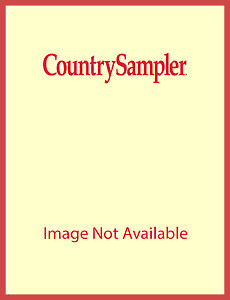 This special issue from Country Sampler is filled with easy-to-follow instructions and beautiful color photography. 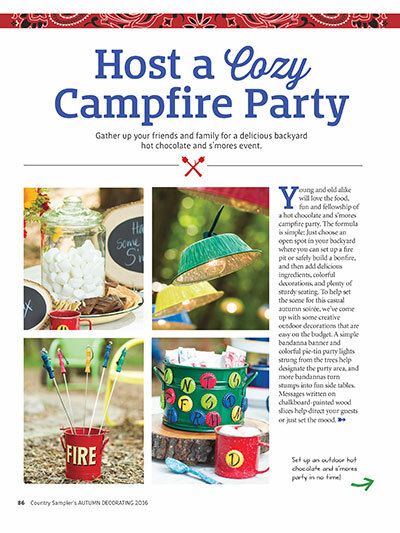 Order this special issue and start decorating!